What would a festival be without entertainment? There's no shortage of that! 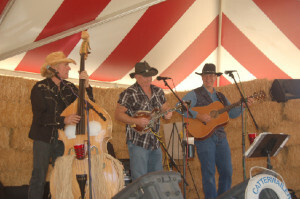 On the weekends, we feature live country, bluegrass, folk, Zydeco and much more on our Main Stage. We also have strolling musician, performers and stilt walkers as well as 5 themed weekends! Please look at a sample of the events that are shown below. Check out our schedule of events for the dates of our themed weekends. Don't forget to take advantage of all that is included with admission! Parking and children UNDER 2 are FREE.